The Lenovo Yoga 2 Pro becomes very slow and laggy when it is tent, stand or tablet mode instead of laptop mode. This problem may also apply to other devices in the Yoga series. Intel’s Dynamic Platform & Thermal Framework is throttling the performance in hybrid modes in favor of device temperature and battery life. 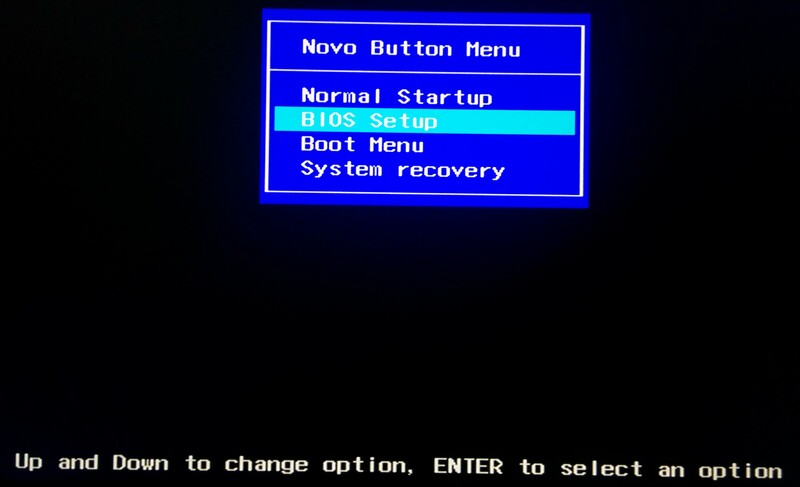 Turn off the DPTF in the BIOS. 2. Press the tiny round button next to the power button on the right side of the device (this is different for some other Yoga models). 4. Use the arrow keys to navigate and the enter key to select. 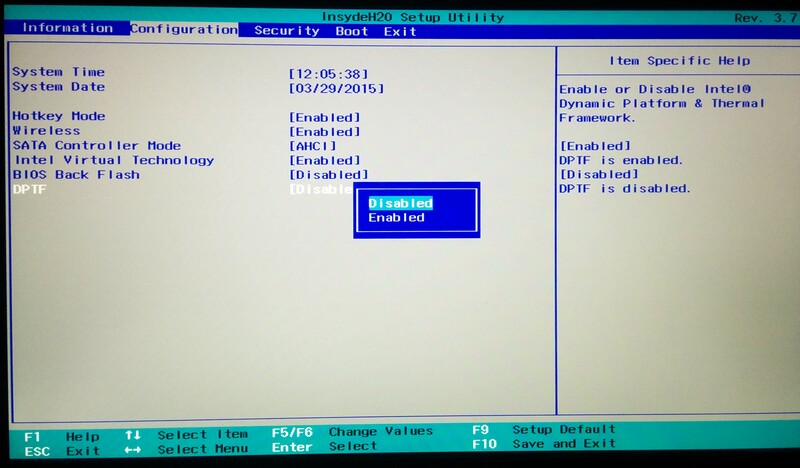 In the Configuration menu, find DPTF and disable it. 5. 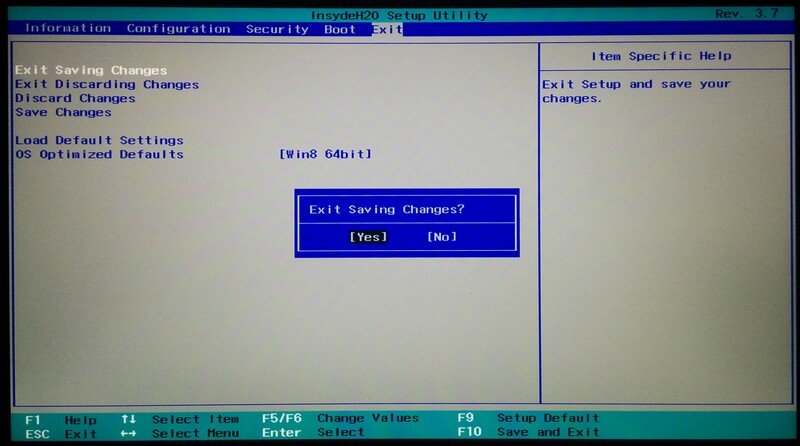 In the Exit menu, choose to “Exit Saving Changes“. 6. After your computer automatically restarts, you will notice that flipping your Yoga no longer hinders its performance! Enjoy your Yoga the way it’s meant to be.